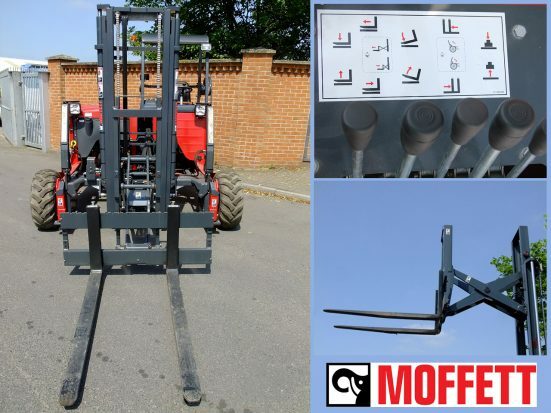 Moffett M5 PL featuring “Lift Assist” with pantograph scissor extension. 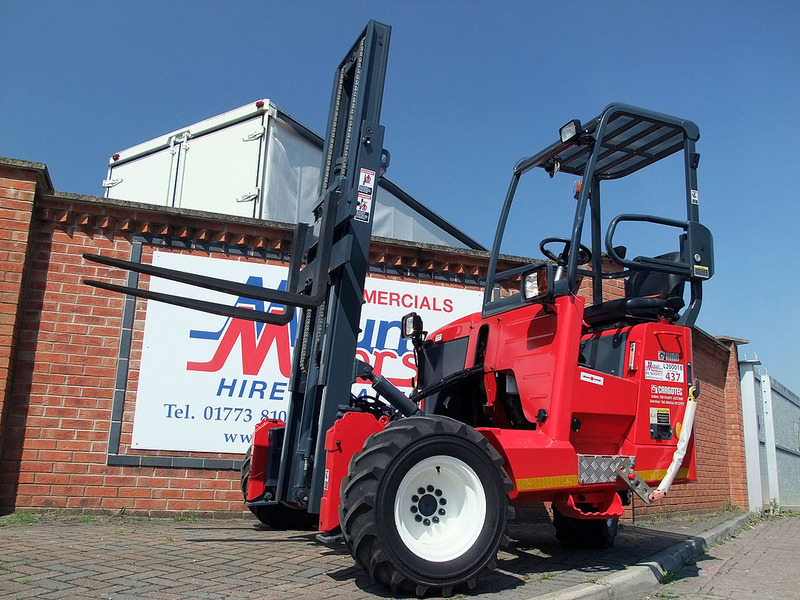 The HIAB Moffett (formerly known as Moffett Mounty) M5 is one of the most popular Truck-mounted Forklifts on our Moffett rental fleet. 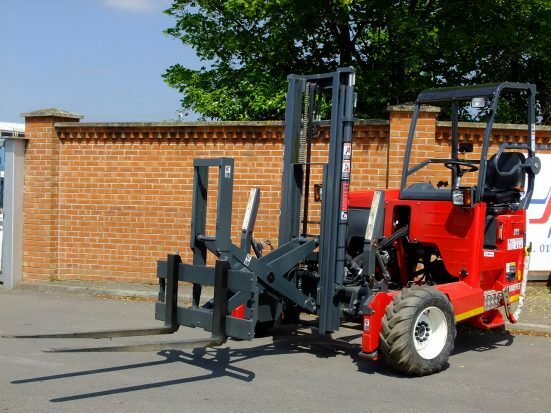 It provides the solution to transferring loads up to 2000 kg (with pantograph extended) to 2500 kg (with pantograph retracted) and helps you to reduce your transport costs. 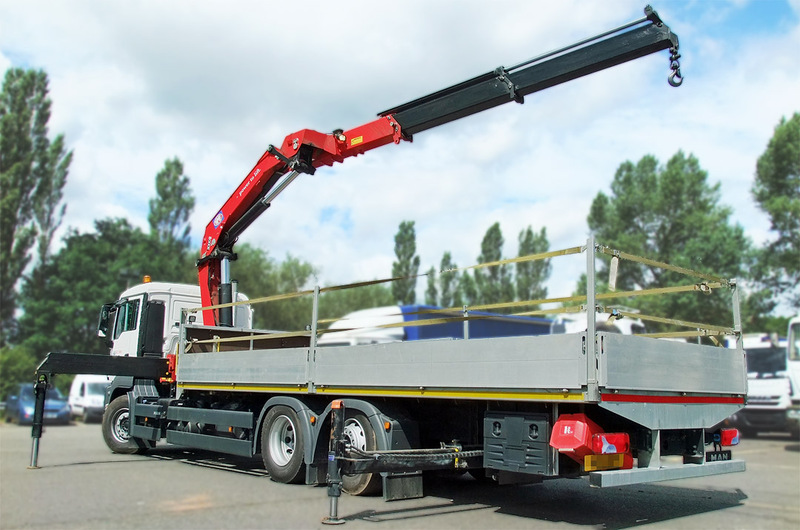 The M5 PL Pantograph, with Moffett’s “Lift Assist” technologies, increases the flexibility, speed and safety of working with the Moffett, enabling one-side offloading. 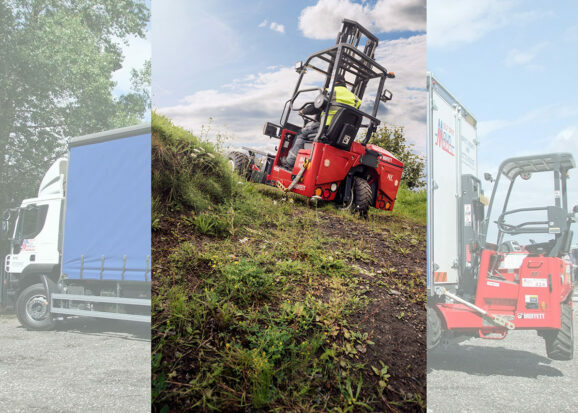 The combination of “Lift Assist” with pantograph or telescopic forks on the M5 & M8 range enables you to load and offload from the far side of a fully loaded truck with all mast functions such as side shift and tilt, without causing the mast to collide with the truck or trailer body. 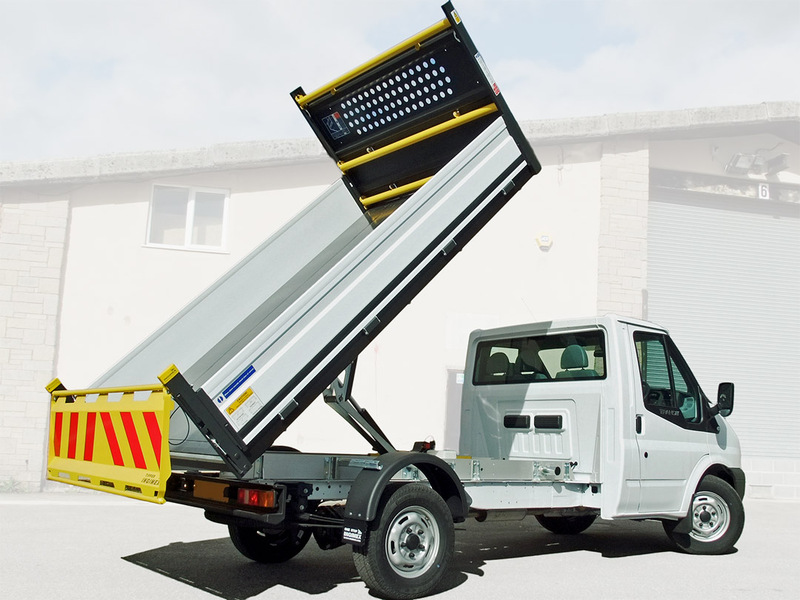 The scissor / pantograph mechanism allows the operator to lift product from one side of the truck or trailer. 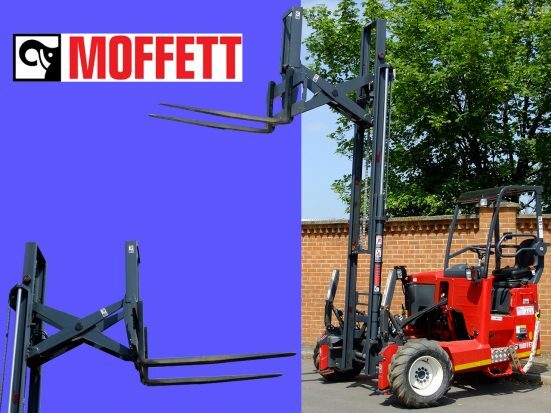 Another system which enables one-side off-loading is a Moffett with long-reach extending forks, which we also have on our Moffett hire fleet. 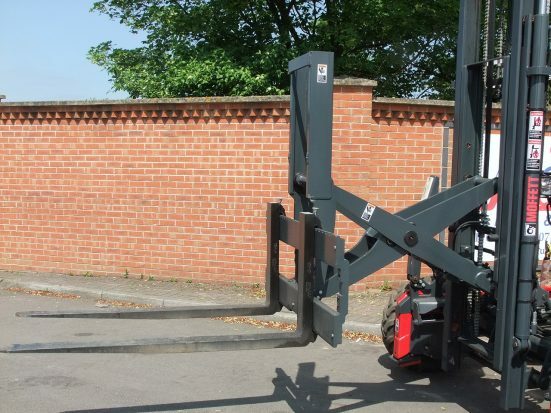 A benefit of a pantograph extension, over extending forks, is that this device uses standard section forks, whereas extending forks are much bulkier. 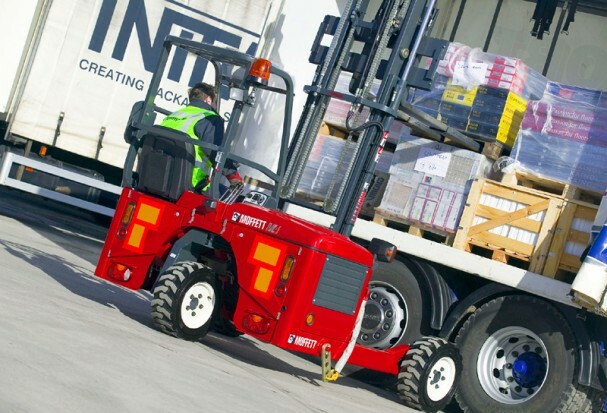 Moffett truck-mounted fork lifts offer efficiency benefits through allowing your trained* delivery drivers to be “self-sufficient”. 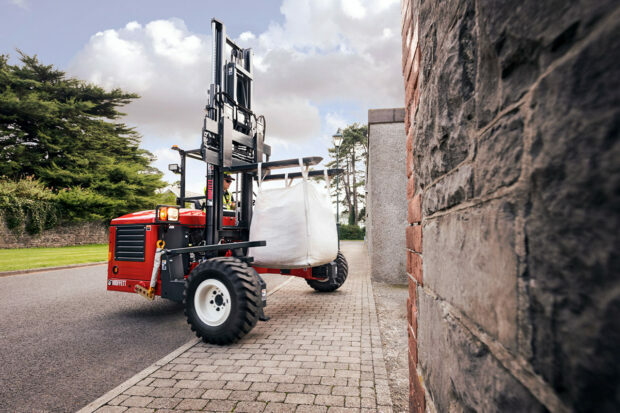 By loading and unloading their own vehicles with a Moffett fork lift (available to hire from us separately), your delivery drivers instead don’t have to rely on customers having their own unloading equipment available. 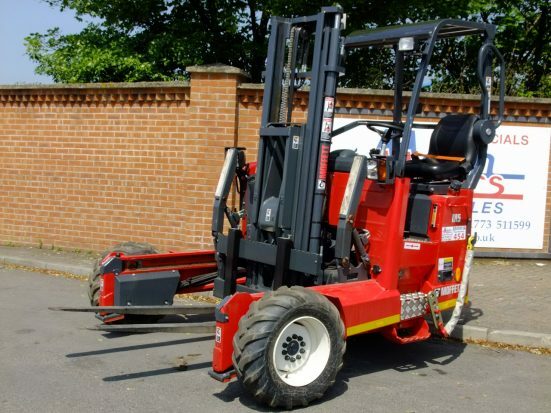 This can prove extremely time efficient and reliable when calculating delivery schedules with tight deadlines. 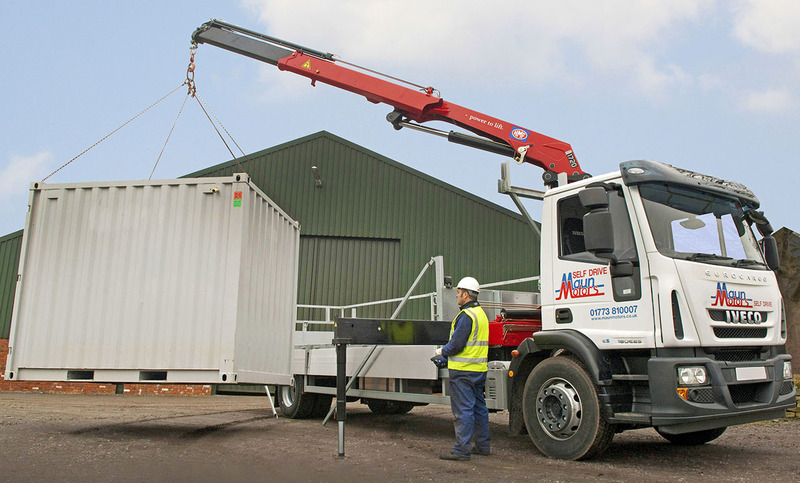 Delivery of agfeed & fertiliser. 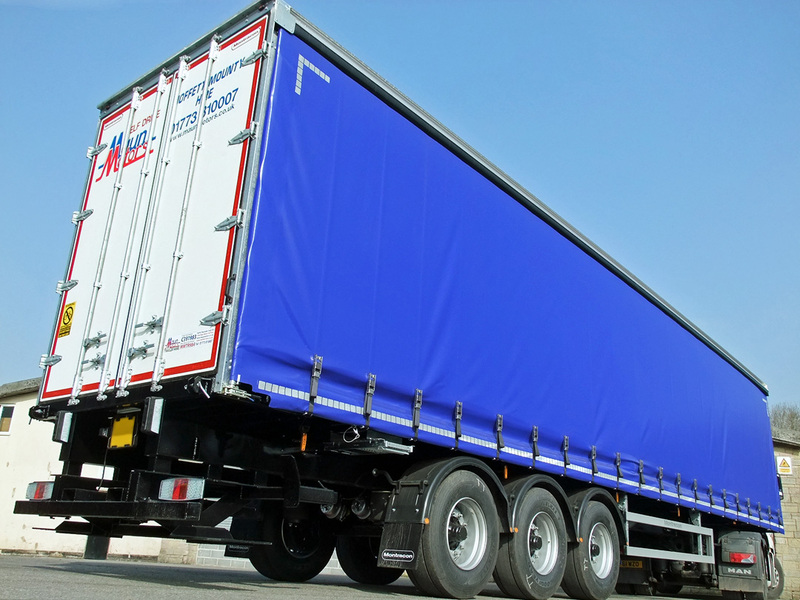 Distribution of extrusions …and much more! 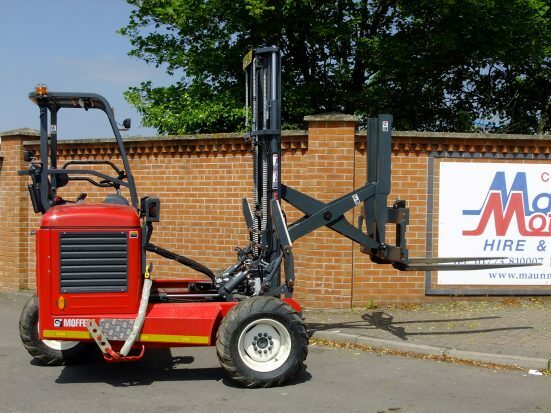 Moving mast. 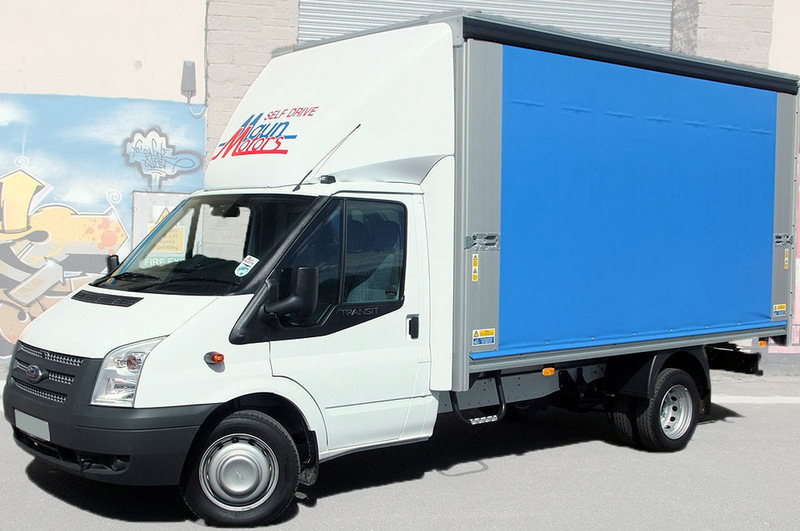 The mast is ‘reached’ forward to pick up loads from the front of the wheels. 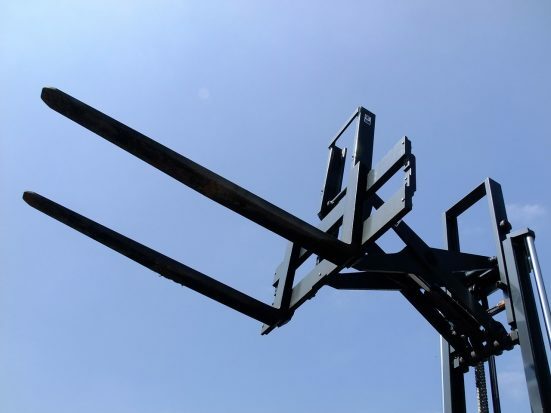 Pantograph “scissor-type” extension between mast and forks, for even greater reach. 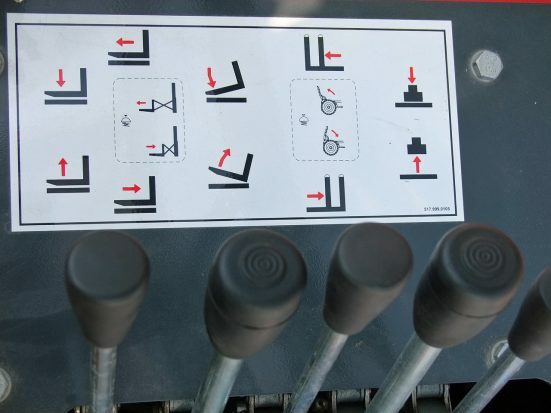 Lift Assist mechanism for added stability when lifting at full reach. 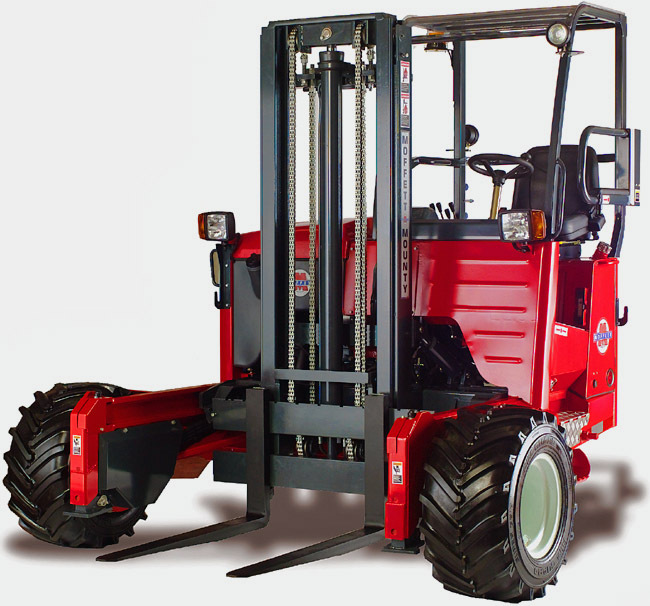 Direct drive engine and hydraulic oil pump for high performance. 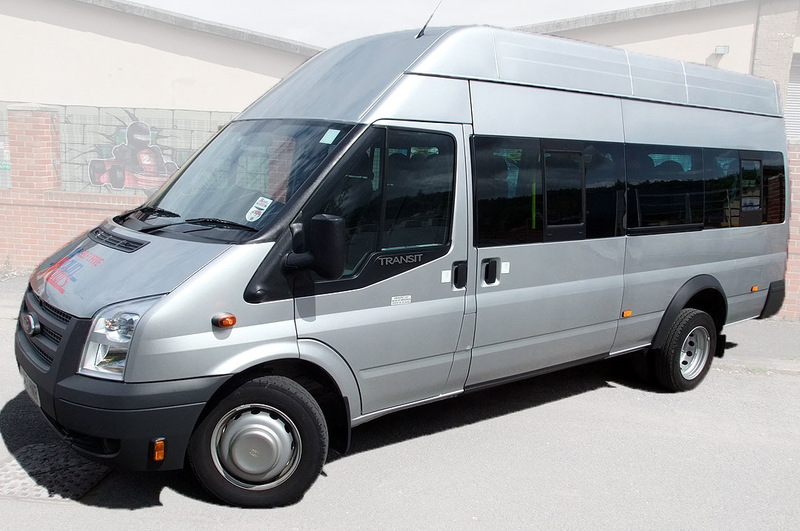 Road lights, reverse beeper and interlocking seatbelt for additional safety. 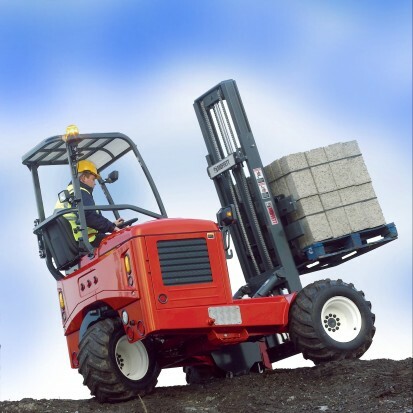 Flashing beacon and work lights for driver safety and confidence. 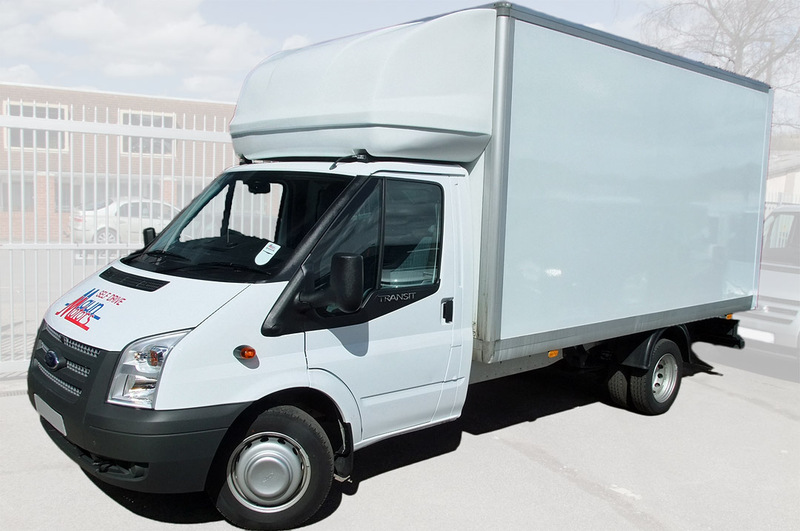 Easy-drive regulator to prevent stalling. 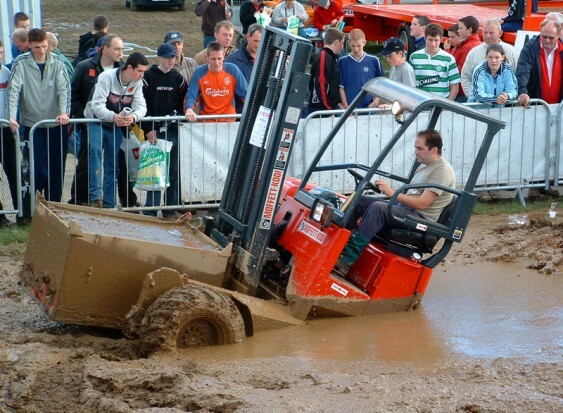 Differential lock to get better grip when driving on rough terrain. 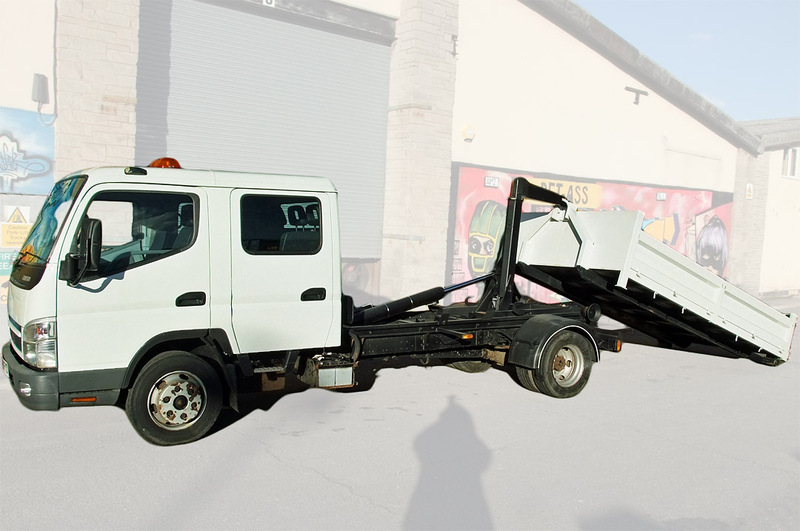 New ROPS/FOPS (Rollover/Falling Object Protective Structure) to protect the driver. 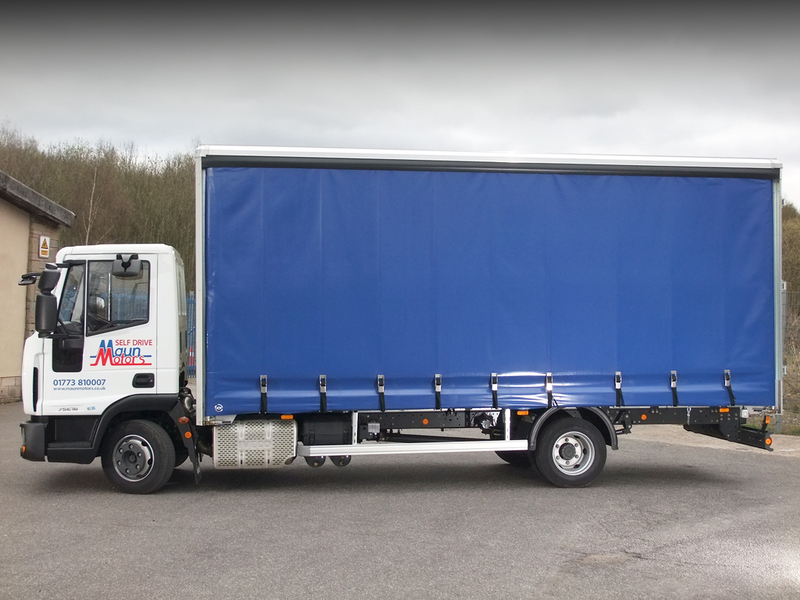 Stabilisers for extra stability, loading and unloading in front of wheels. 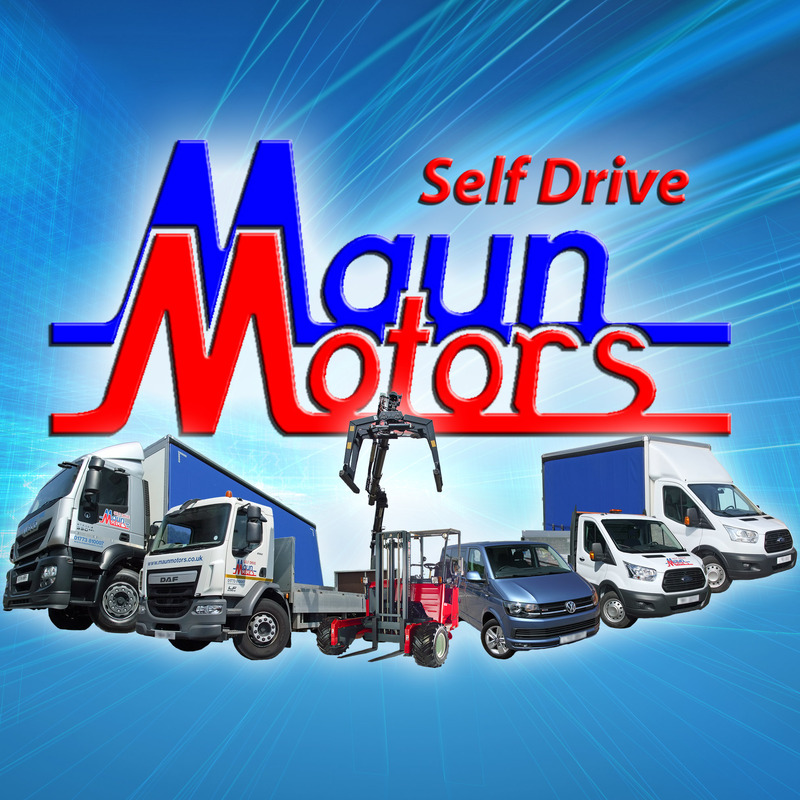 With our large selection of Moffett truck mounted fork lifts and loader cranes, Maun Motors Self Drive has one of the most comprehensive ranges of vehicle-mounted load handling systems available to hire in country. 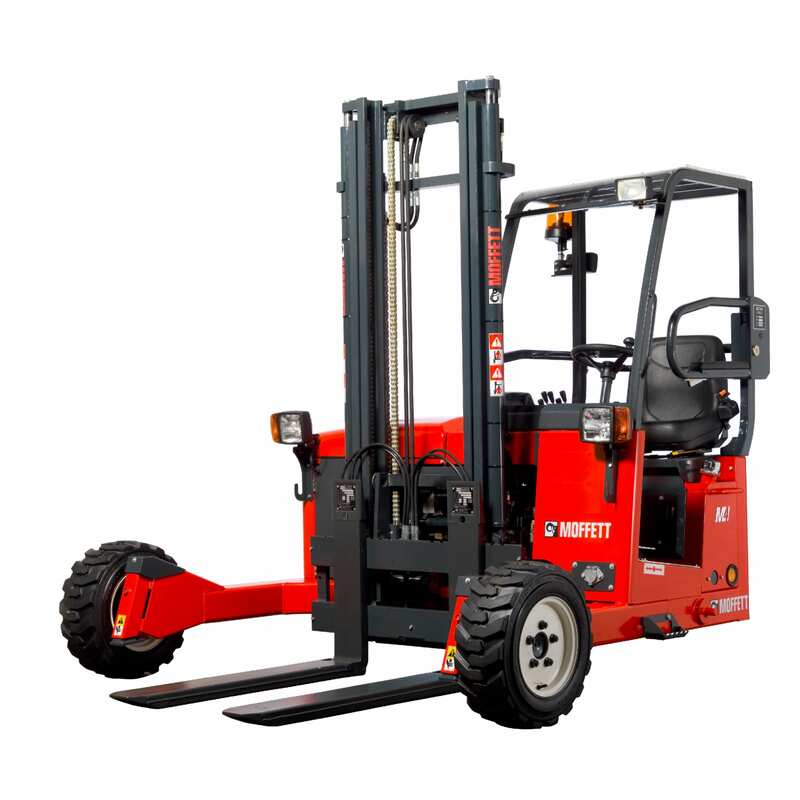 But our Moffett rental fleet extends beyond the forklifts themselves. 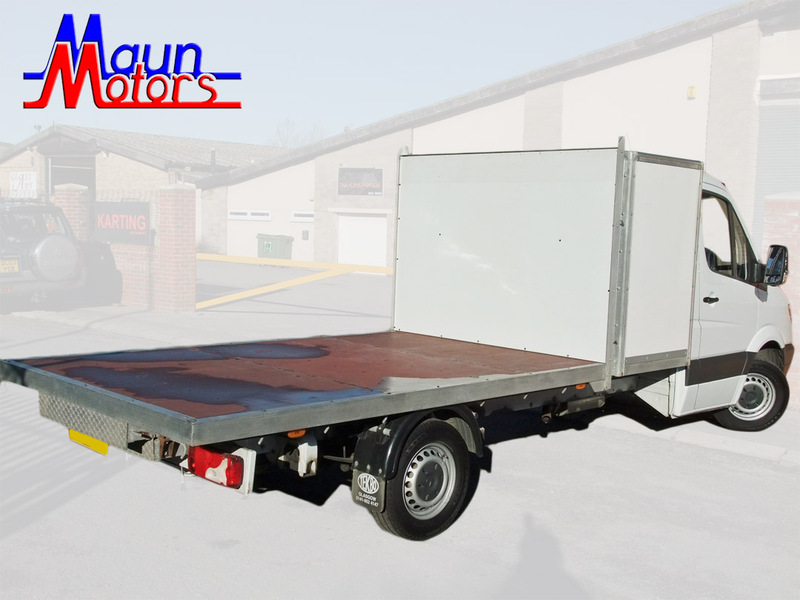 We also hire a comprehensive range of Curtain-side trucks with Moffett mounting kits, Dropside trucks with Moffett mounting kits, Flatbed Moffett Lorries and even 40 foot curtain-side trailers with Moffett mounting kits. 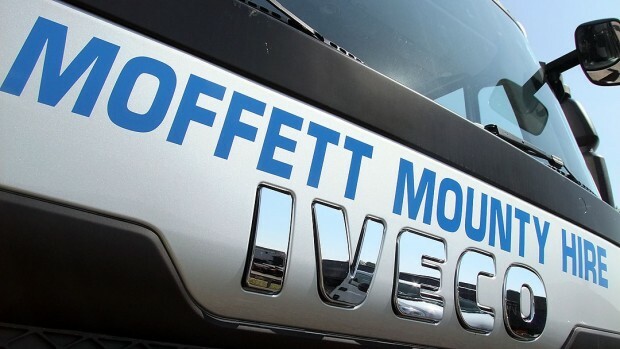 In fact, we operate the UK’s largest self-drive fleet of Moffett Mounty fork lifts, including the Moffett M4, Moffett M5 with Extending Forks, standard Moffett M5 without pantograph and the larger Moffett M8. 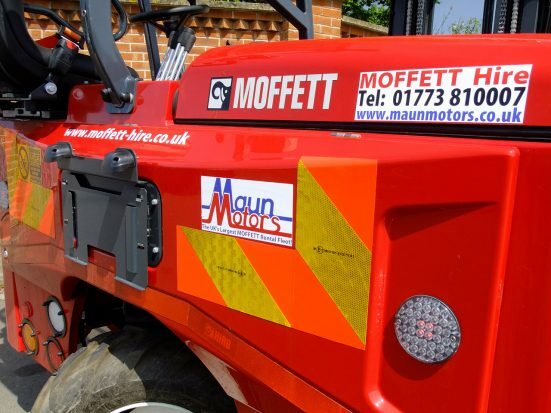 Therefore, Maun Motors is number 1 in the country for Moffett rental. 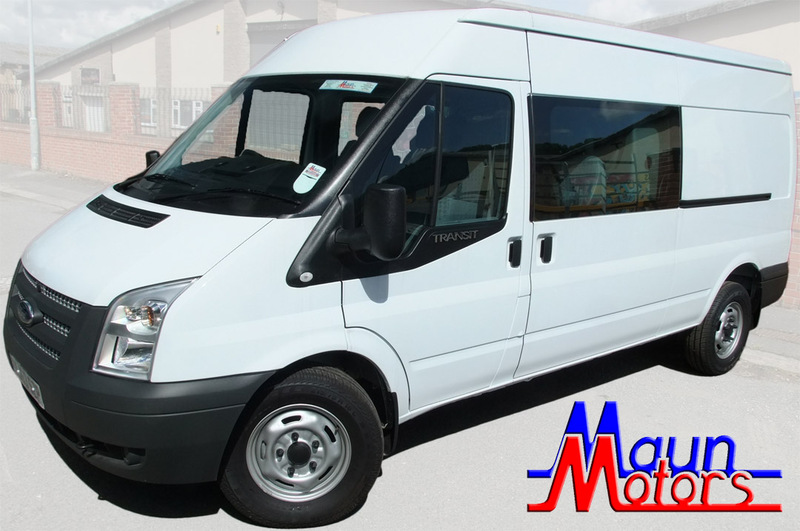 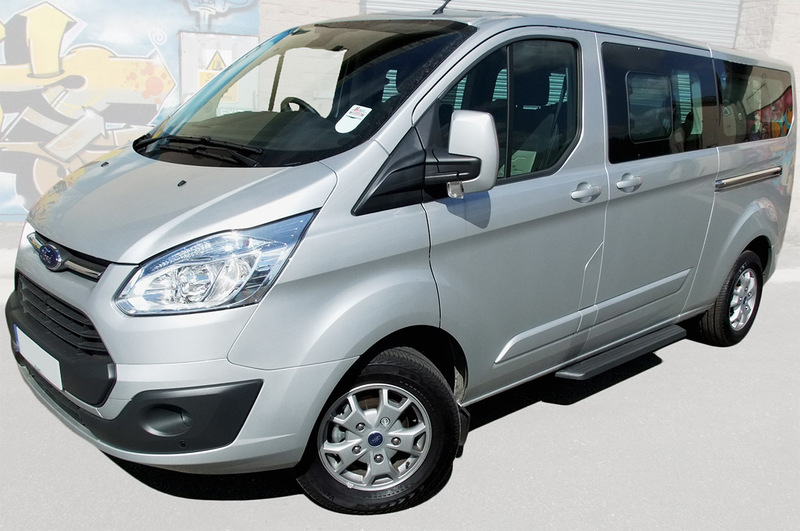 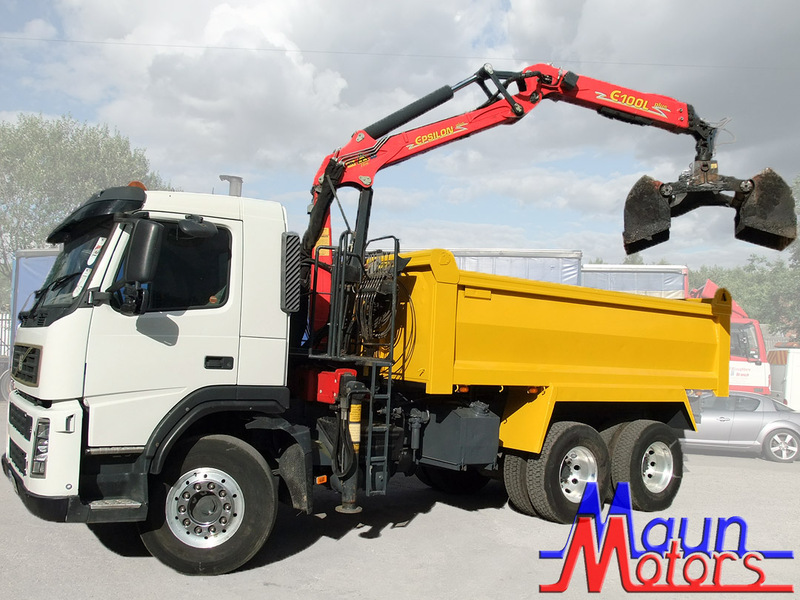 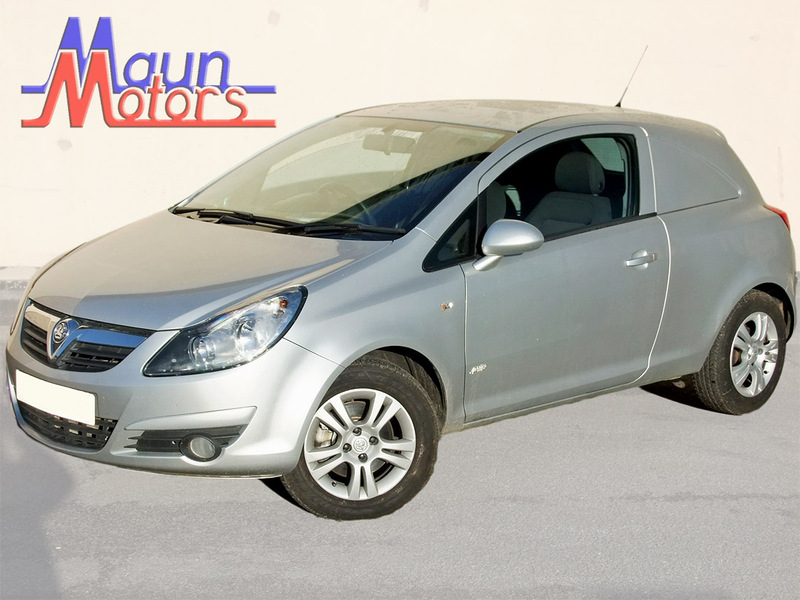 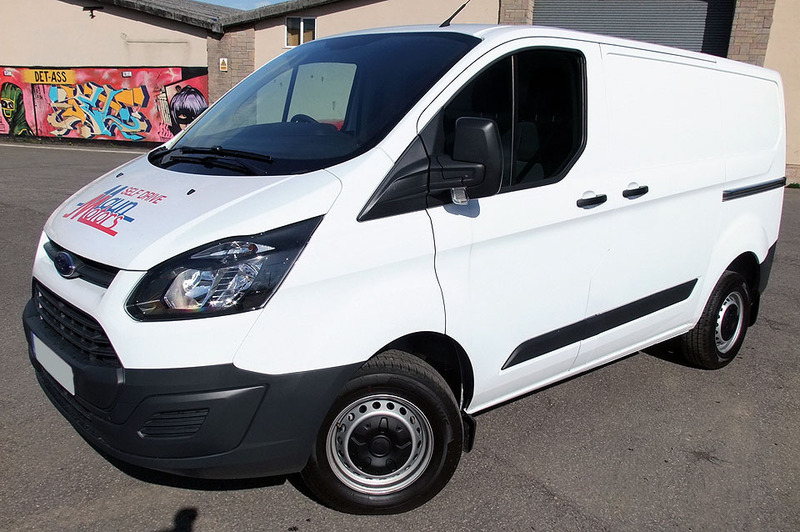 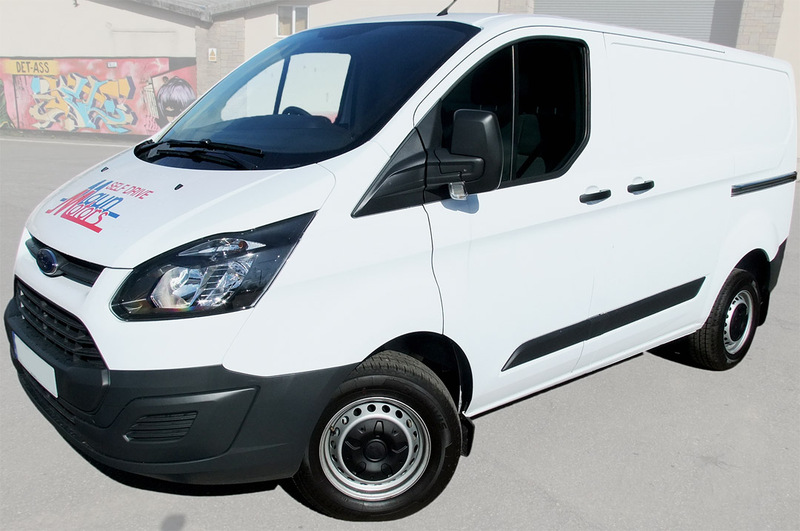 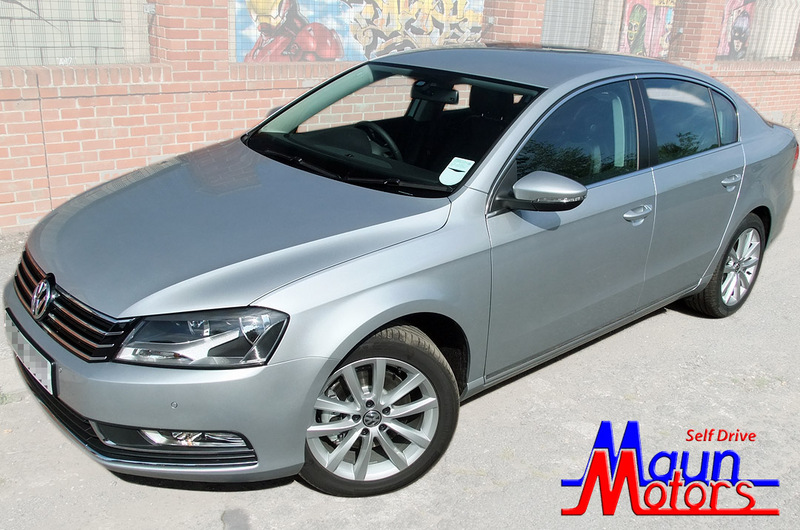 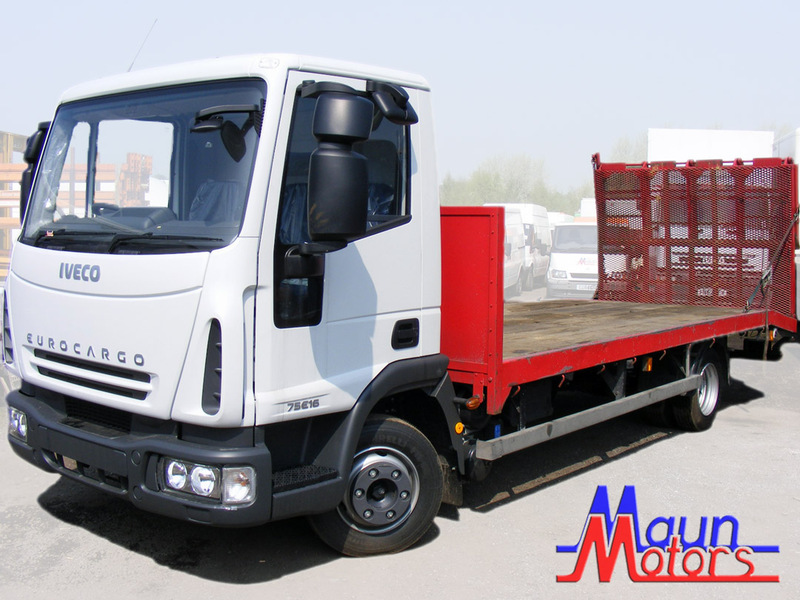 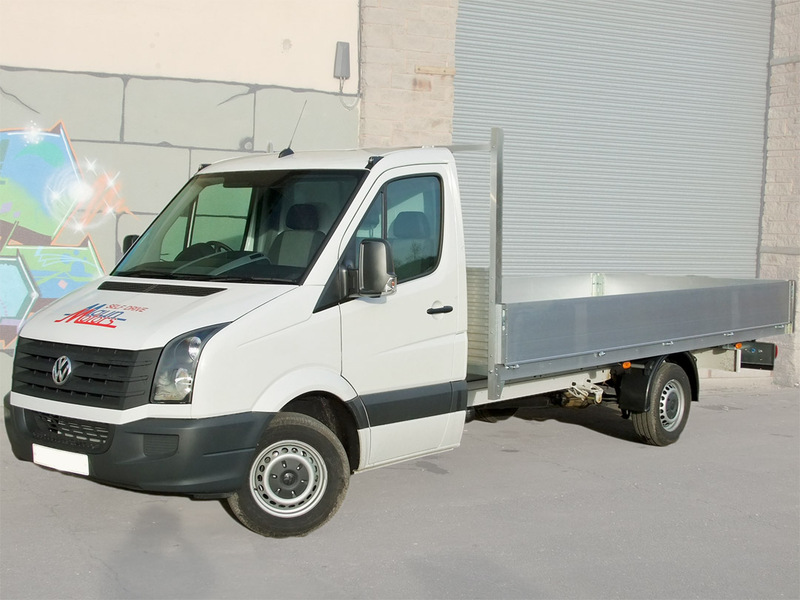 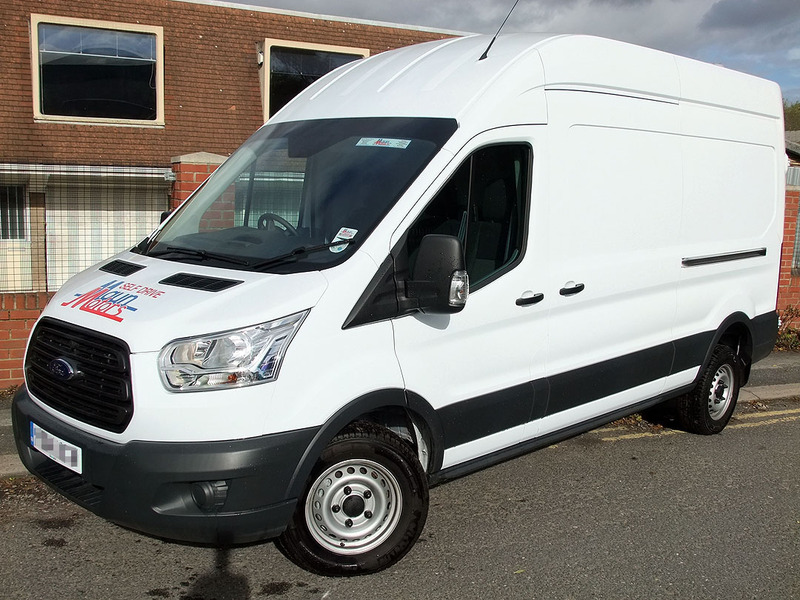 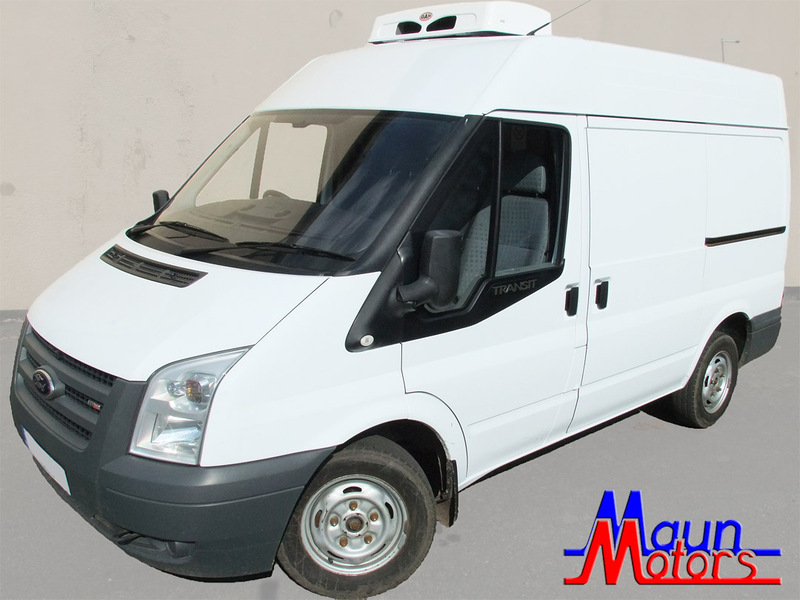 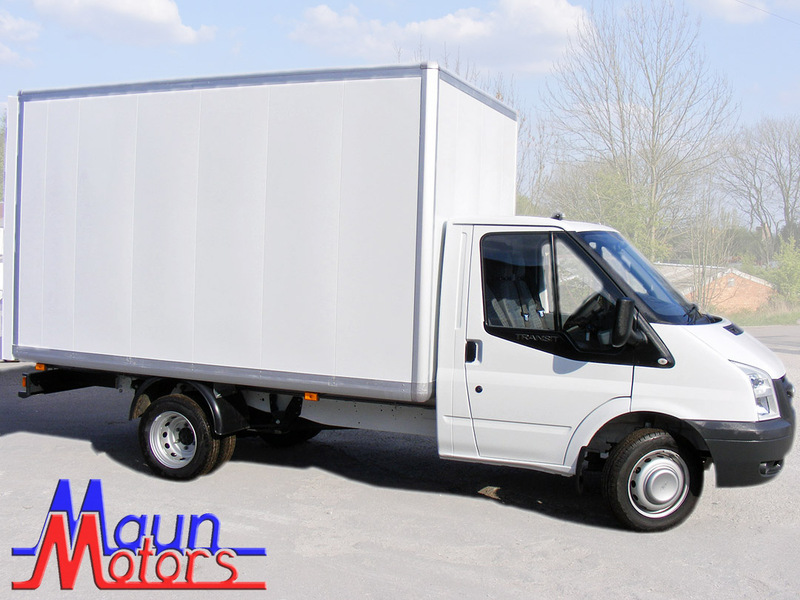 Maun Motors are commercial vehicle hire specialists. 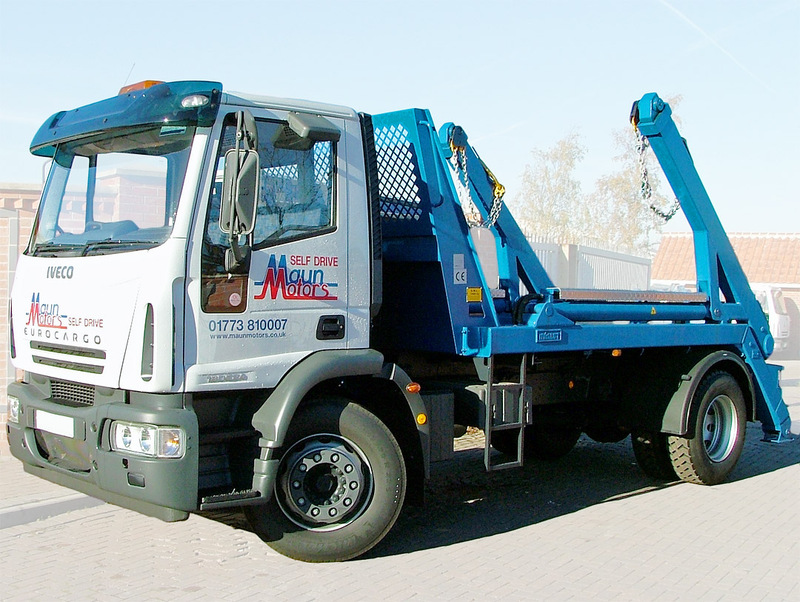 We are a family business, established over 45 years ago, with a rental fleet of over 800 vehicles consisting of trucks, vans, crane lorries, minibuses and Moffett fork lifts. 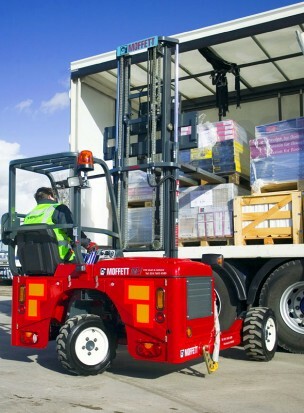 Specialists in Moffett Rental. 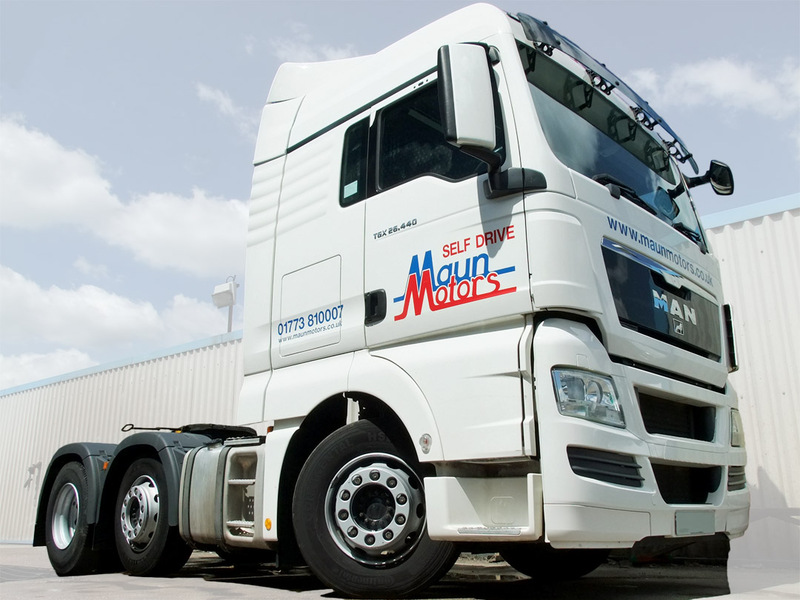 View our Frequently Asked Questions page. 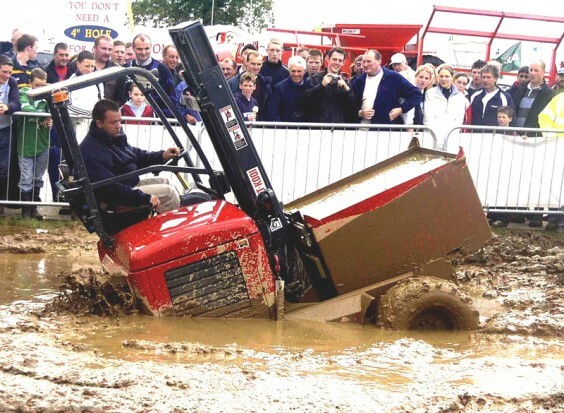 * Operators of Moffett fork-lift trucks must have undergone recent “Lorry Mounted Fork Lift Truck” operator training. 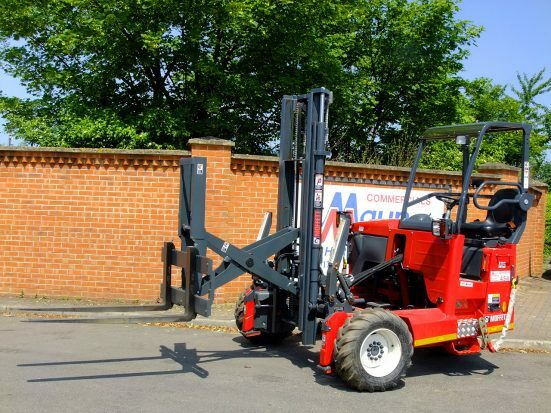 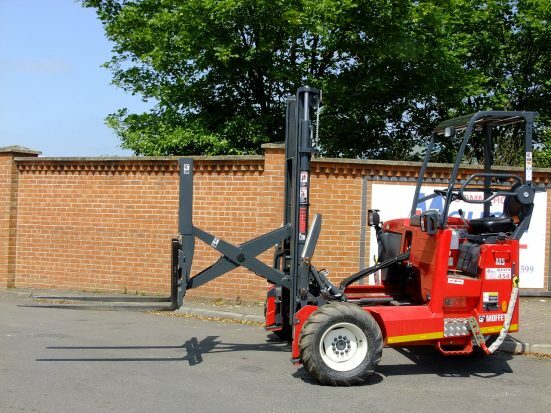 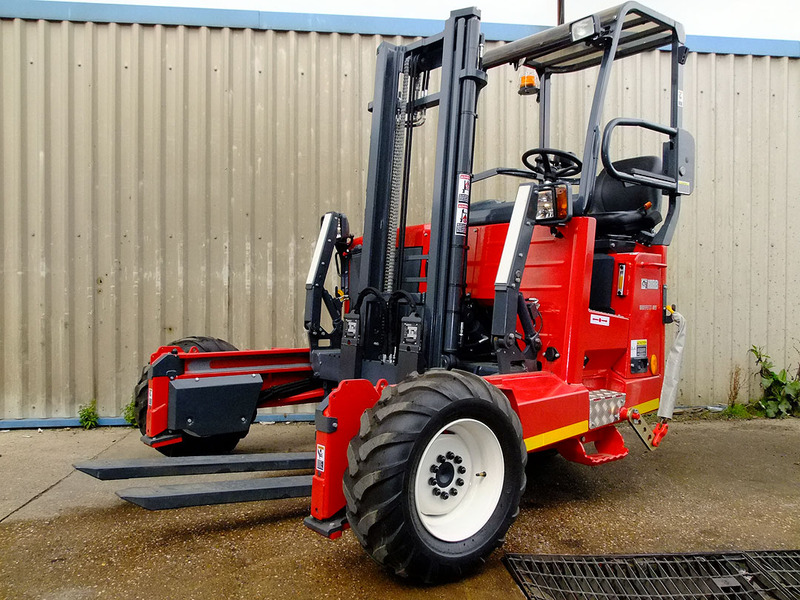 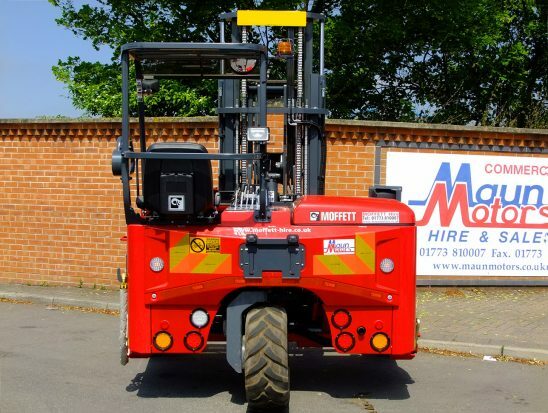 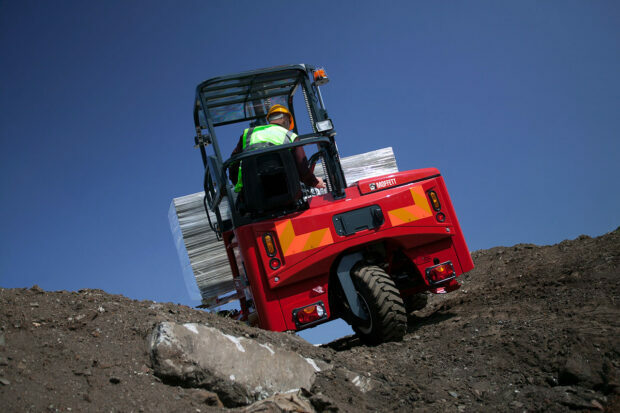 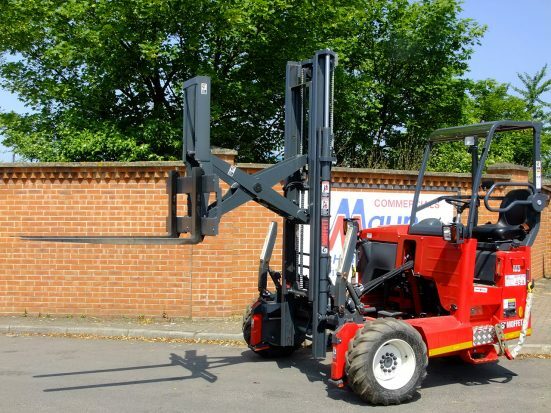 Moffett Hire, Moffett Mounty Hire, Truck Mounted Forklift Hire, Mounty Hire, Moffett Mounty, Moffett Rental, Moffett Mounty Rental, Moffett Forklift, Moffat Hire, Moffet Hire, Moffett M8 Hire, Moffett M5 Hire, Moffett M4 Hire, Mounting brackets for Moffetts.